WWE has made a change to Andrade “Cien” Almas’ name and it was revealed on this week’s episode of SmackDown Live. 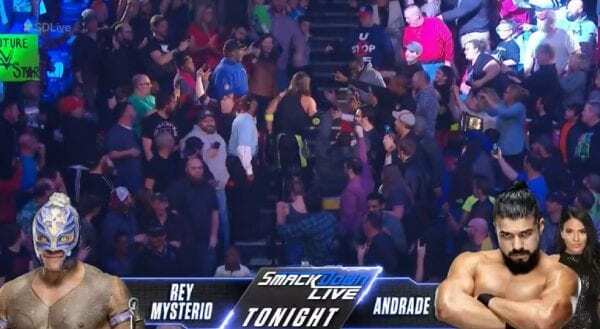 While advertising the Rey Mysterio vs, Andrade in the opening segment of SmackDown, the graphic simply read “Andrade.” In the past when WWE would promote Andrade, they would include his full name. WWE also made the change to his profile page on the WWE roster section of their website.